Selling your home in Security-Widefield, CO, was once a hassle. That is no longer the case. Purple Mountain Holdings has worked tirelessly to provide homeowners with key opportunities. We provide fair cash offers for properties, no matter their condition, throughout the region! Purple Mountain Holdings purchases homes in any location and in any condition. We do not simply purchase old, broken-down homes, but also houses in good condition too. Regardless of the style, shape, size, type, or current condition, we’ll make you a cash offer. That is what makes us the best choice to sell your home in Security-Widefield, CO! Security-Widefield sits adjacent to Colorado Springs. As such, we have experienced profound growth – both in our residential and commercial areas. With easy access to Fort Carson and beautiful established neighborhoods, Security-Widefield is a multi-generational neighborhood with a hometown feel. Fontaine Boulevard divided the town into two parts, with Security being to the north and Widefield to the south. Everyone here just calls it home, though! 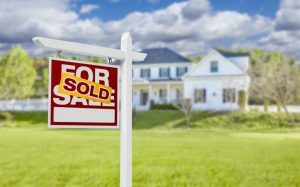 Start the process to sell your home in Security-Widefield, CO, by calling Purple Mountain Holdings at (719) 476-2727. We cannot wait to help you sell your home and start the next journey in your life! We serve entire Security-Widefield, CO 80817, 80911, 80925, 80931.